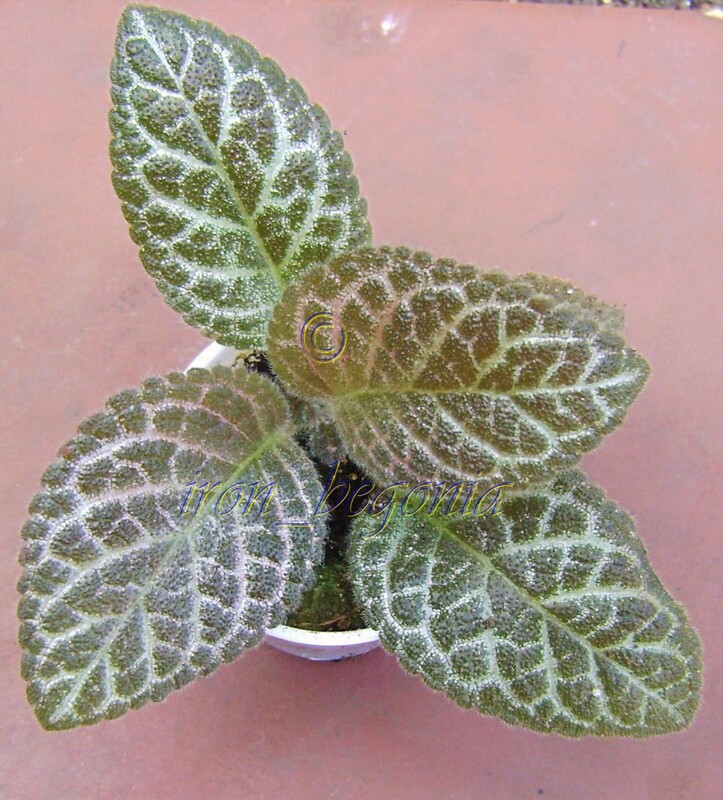 Episcia Karlyn is one of the old heirloom varities. 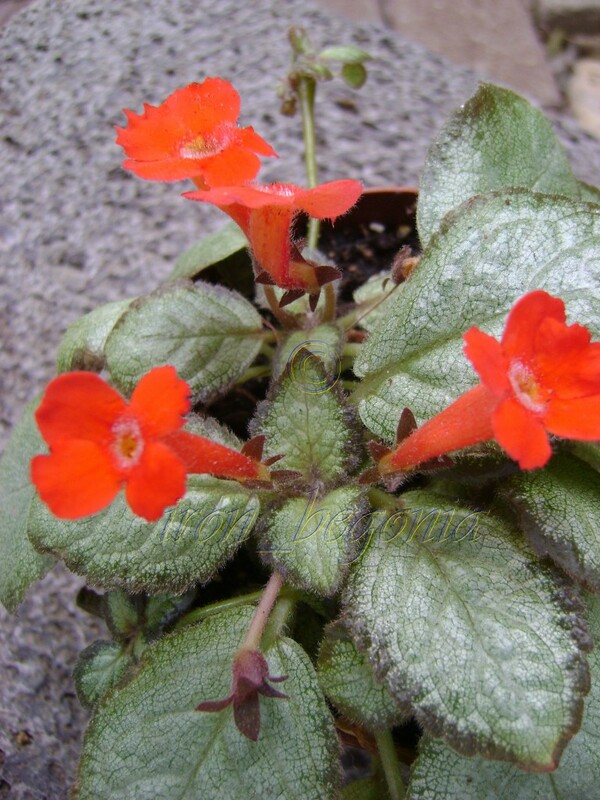 It blooms orange/peach flowers with a yellow throat. 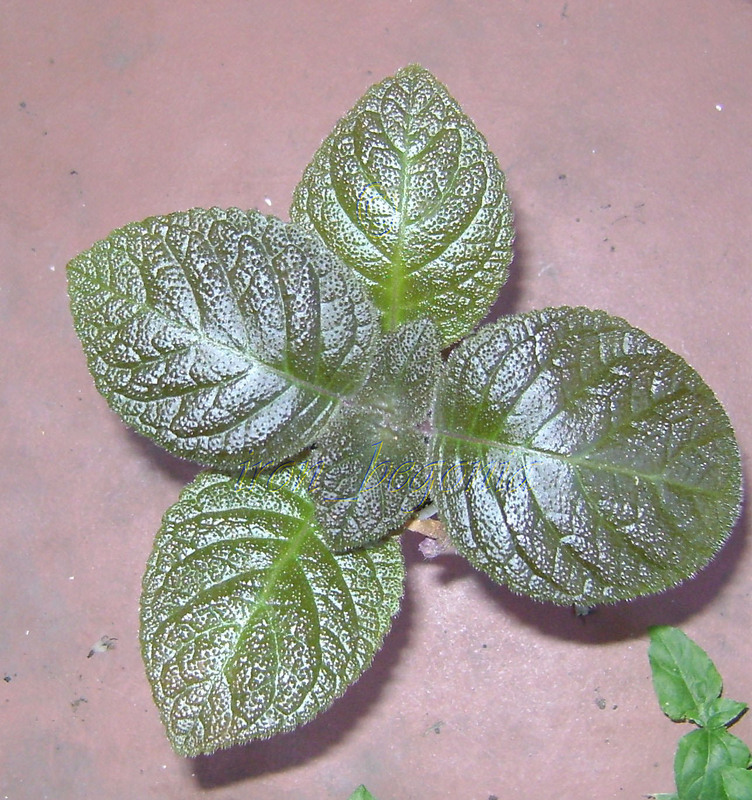 The leaves are a brown/bronze color with light cream veins. 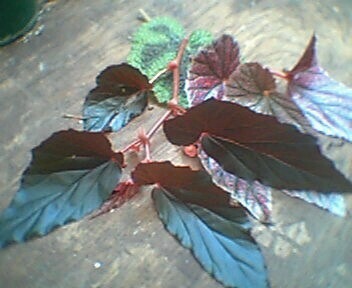 I purchased this one in the late 70’s. 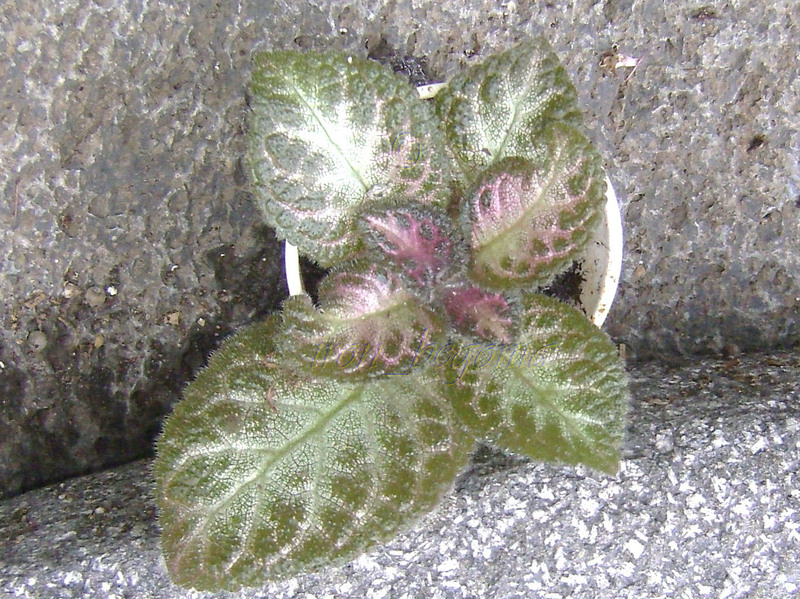 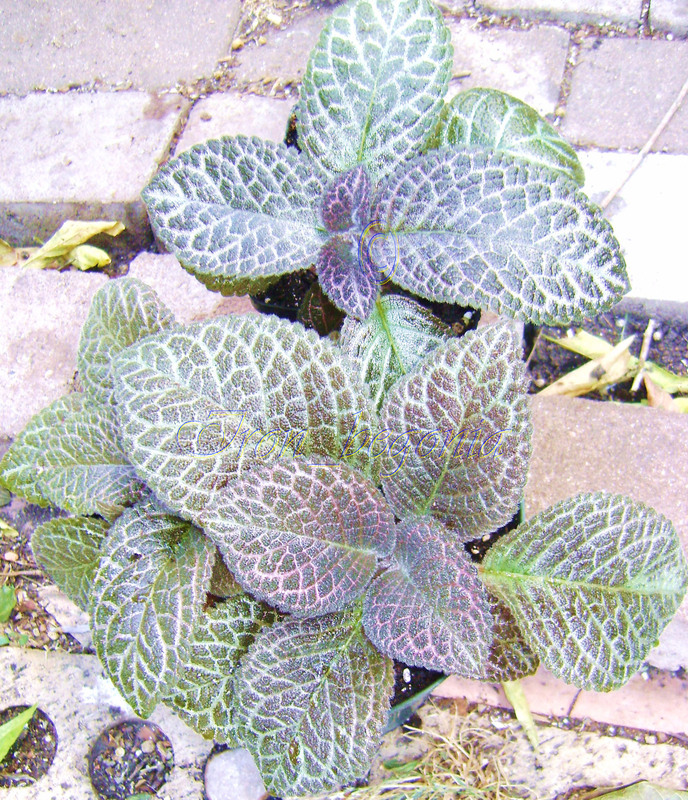 The name of this episcia is Jim’s Golden Eagle. 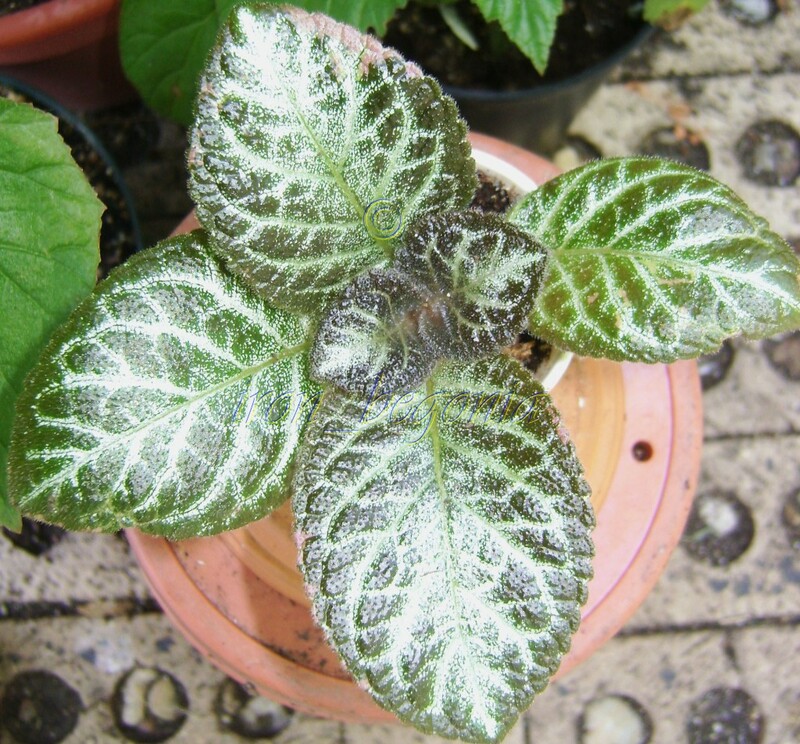 It has brown/bronze leaves with cream veins. Here is a picture of the Mother plant. 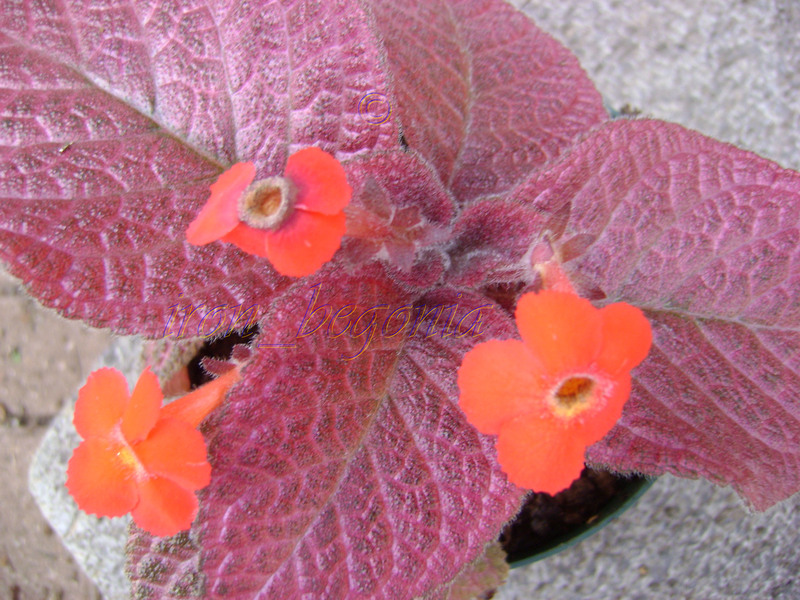 I was told it blooms red/orange flowers. 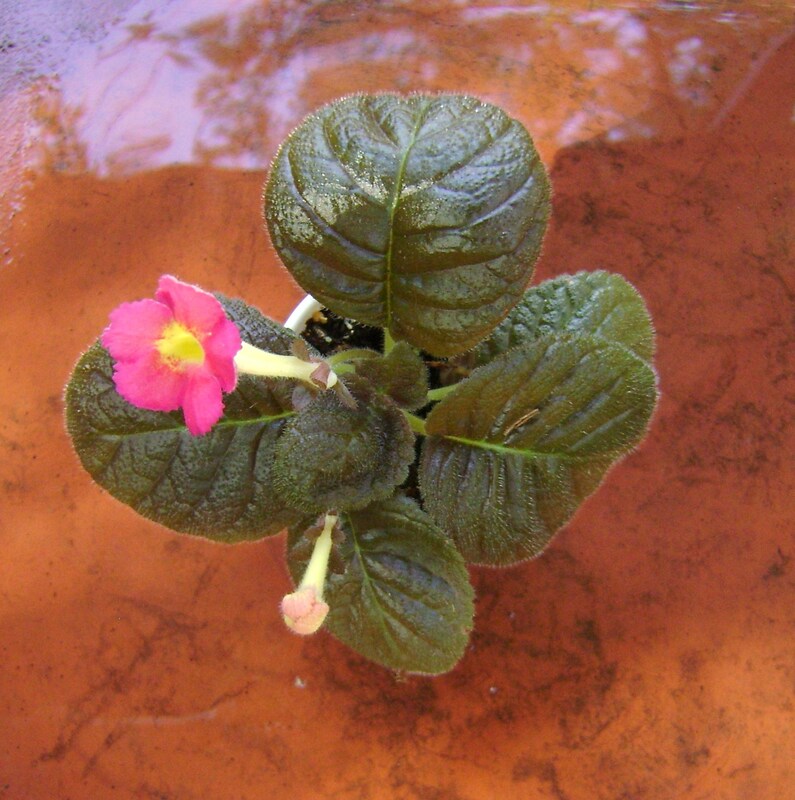 It ha sent bloomed for me yet, I am hoping it will bloom this summer. 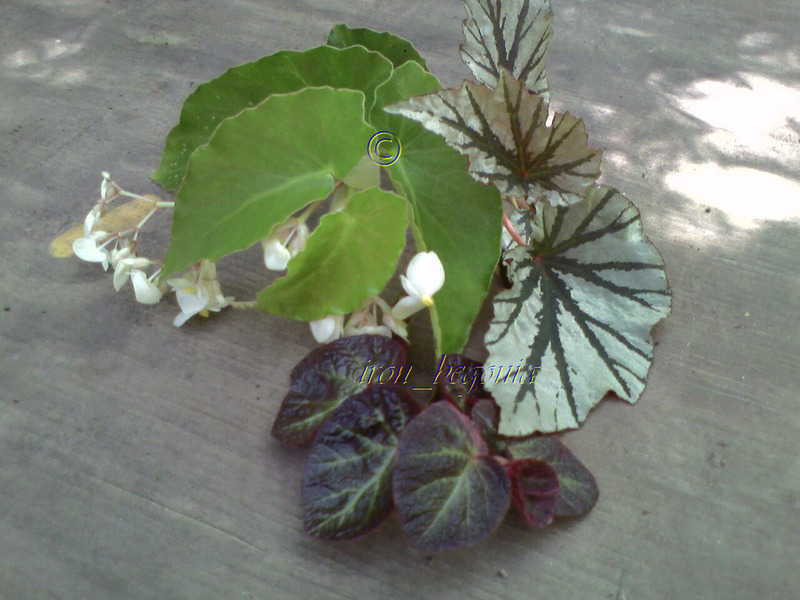 I will post pictures as soon as it blooms. 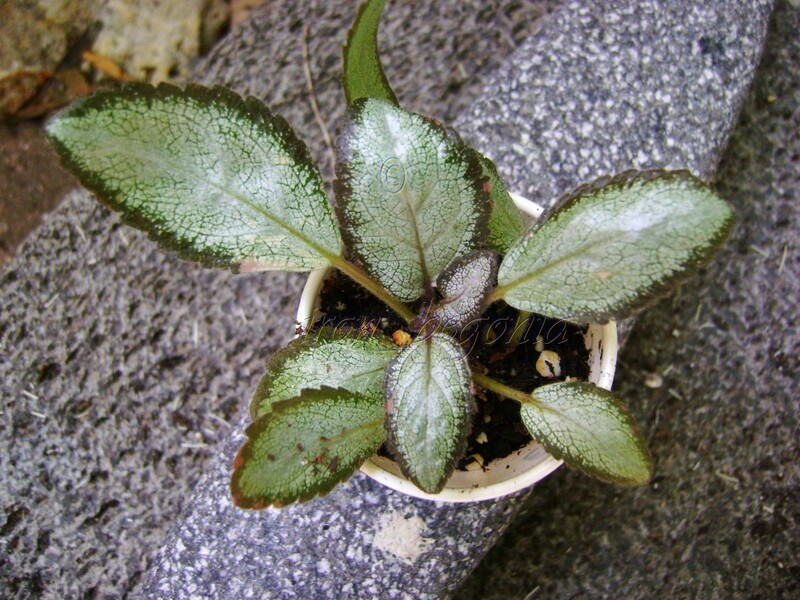 Below is a starter plant of episcia Jim’s Eagle growing in a solo cup. 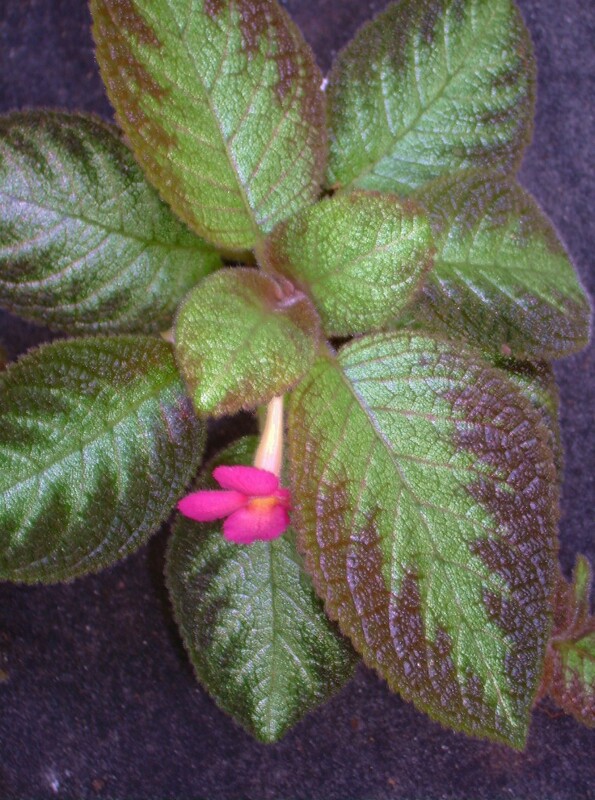 Episcia Pink Panther Blooming a beautiful Pink flower. 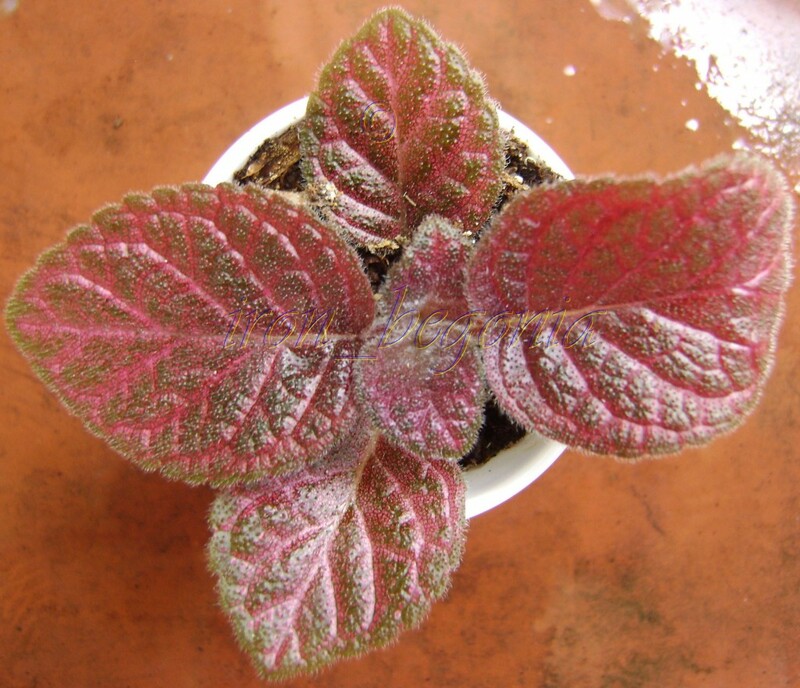 This episcia is so easy grow and very easy to root! 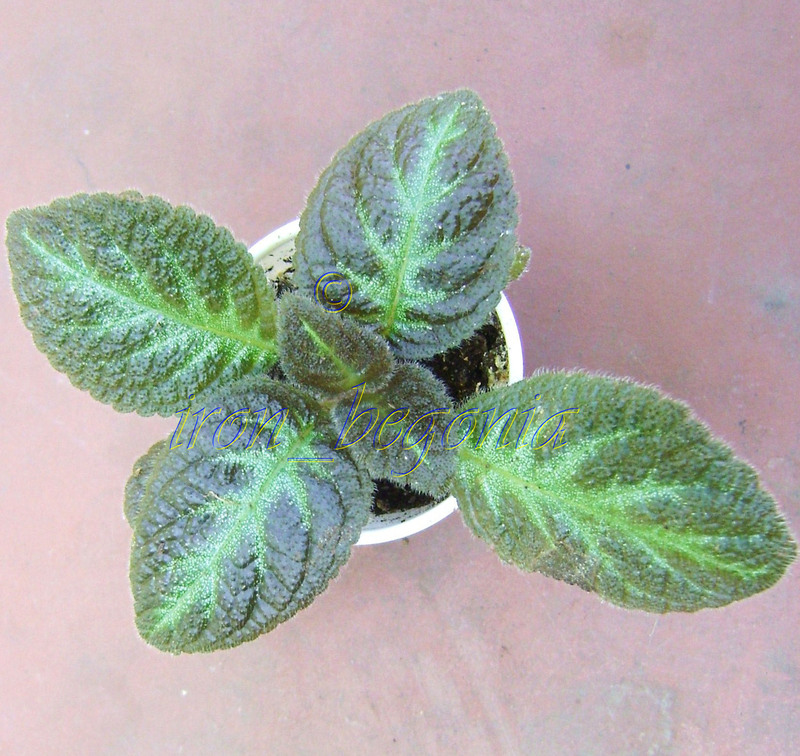 It has velvety light green and dark olive leaves. 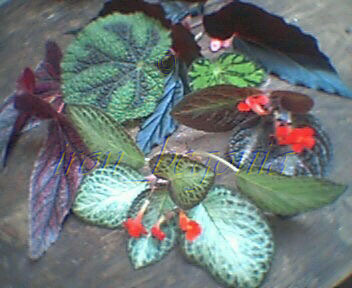 OK My episcia flamingo is blooming a few different colors. 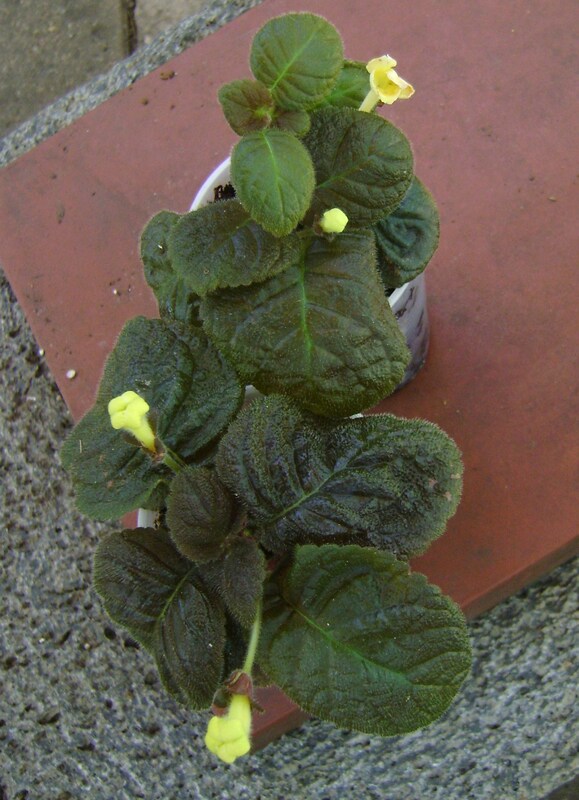 During the winter I took stolons off of the mother plant and the starter plants have been blooming hot pink and then yellow flowers! 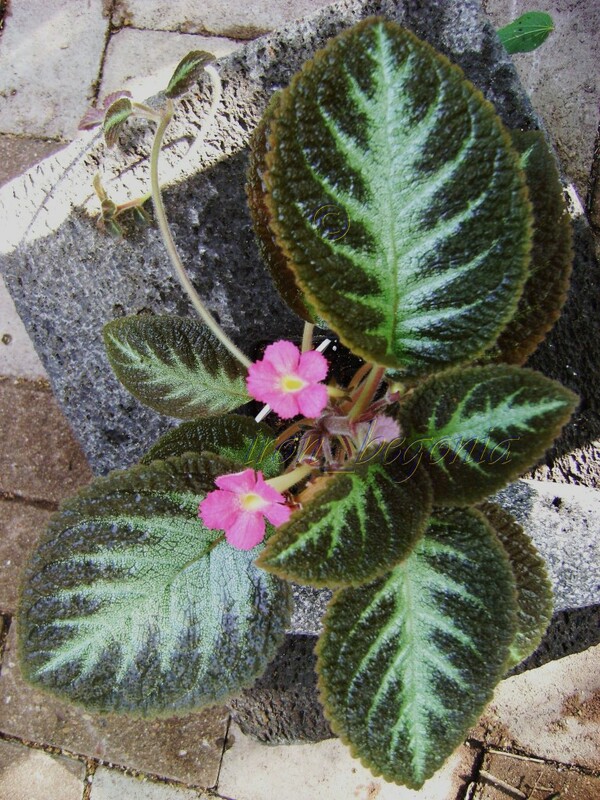 The Mother plant bloomed pink and two of the starters bloomed like the Mother plant (pink). 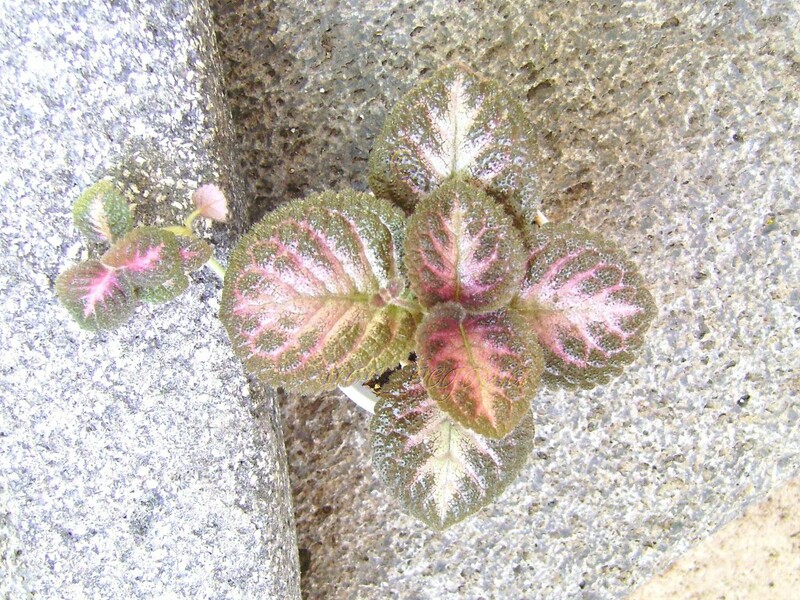 Any way here are a few pictures. 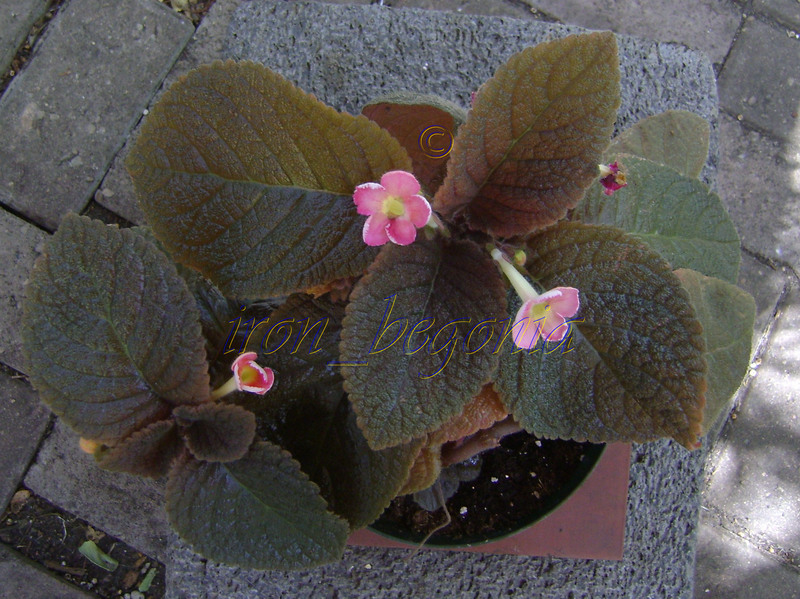 If the starter plants keep blooming yellow then I will call them flamingo sport. 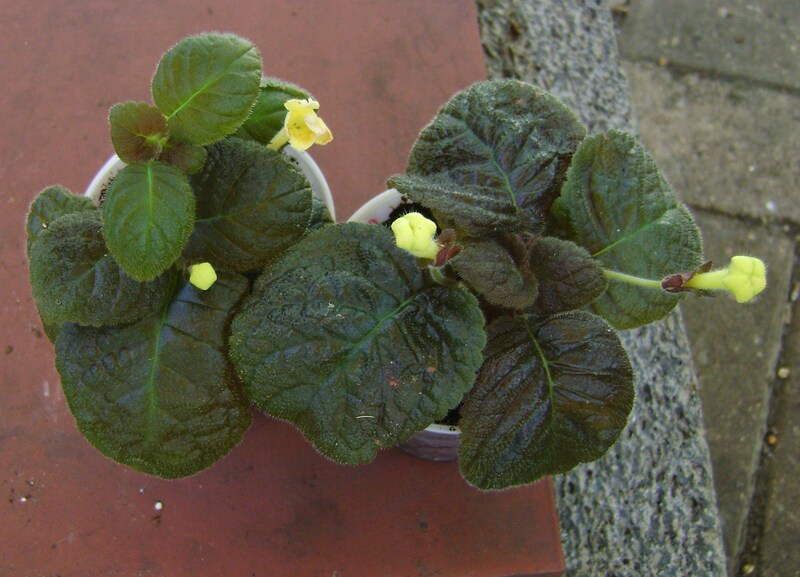 But I will wait to make sure they keep blooming yellow. 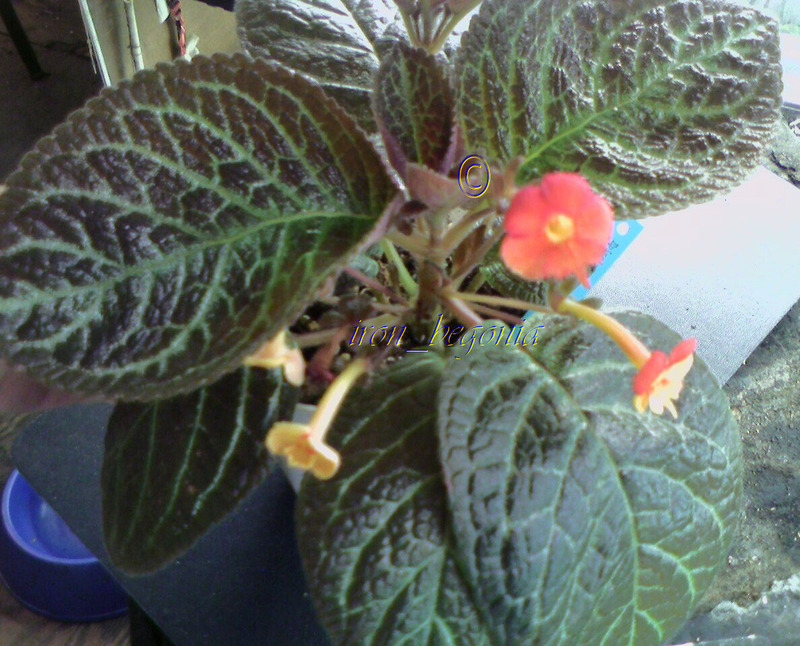 Below are pictures of the starters that are blooming yellow and the last picture of flamingo is blooming hot pink. 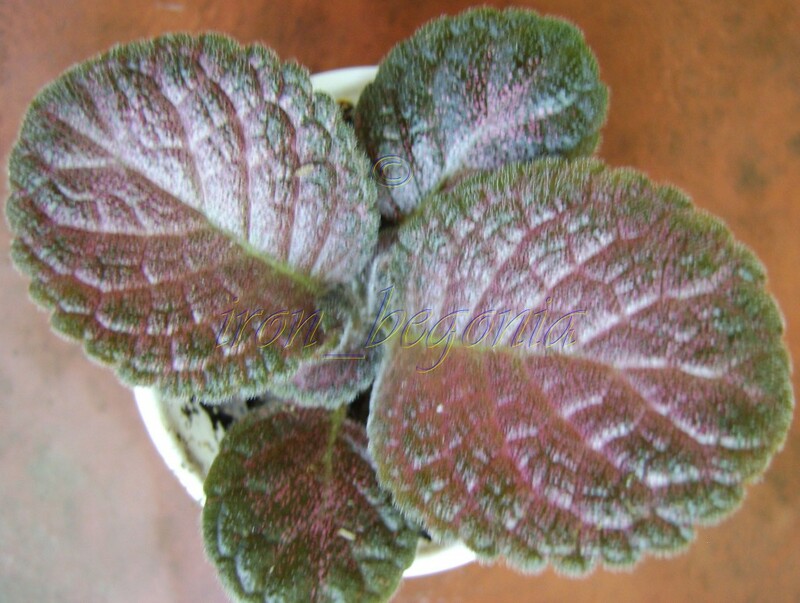 There is not much to say about this episcia! 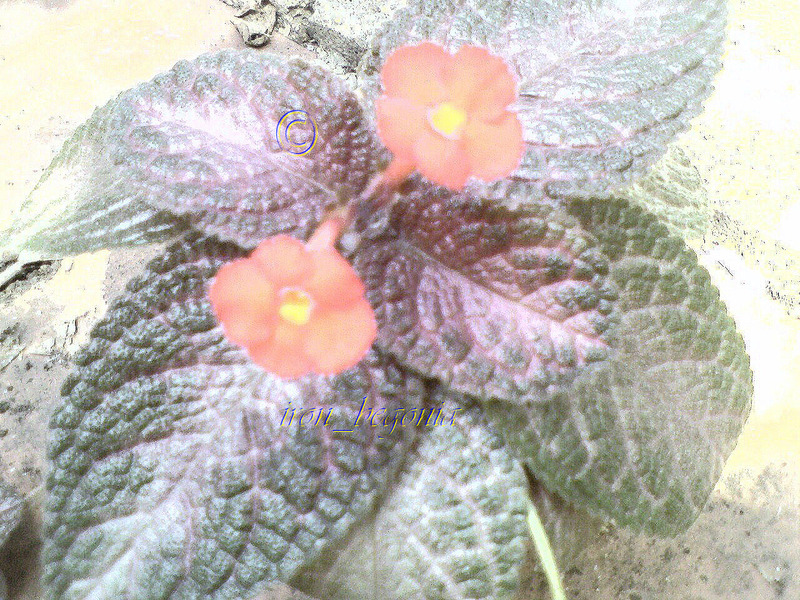 The Picture say’s it all! I just love this episcia; such beautiful foliage! 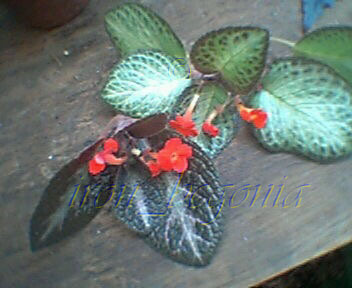 This episcia is not only beautiful it is very easy to grow. I have it growing in my greenhouse in 100 degree weather!